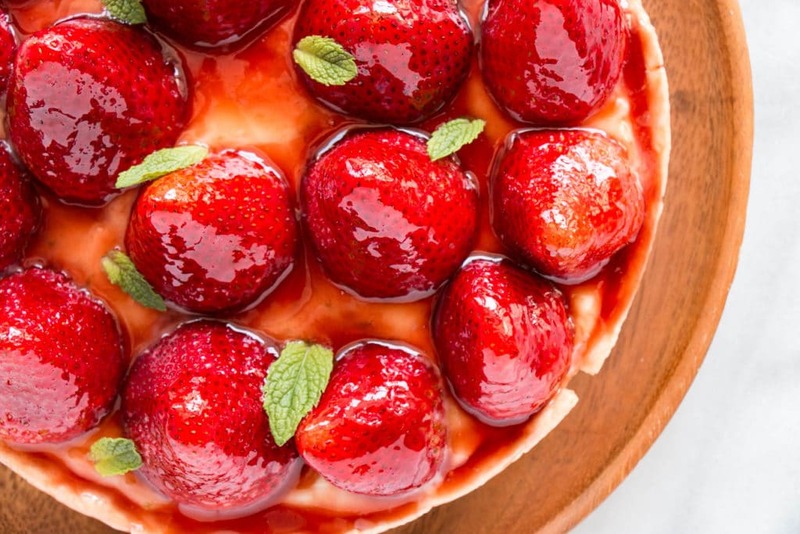 Sublime Strawberry Tart with lime pastry custard and a jelly glaze. Quick and easy to prepare with bright summer flavours. 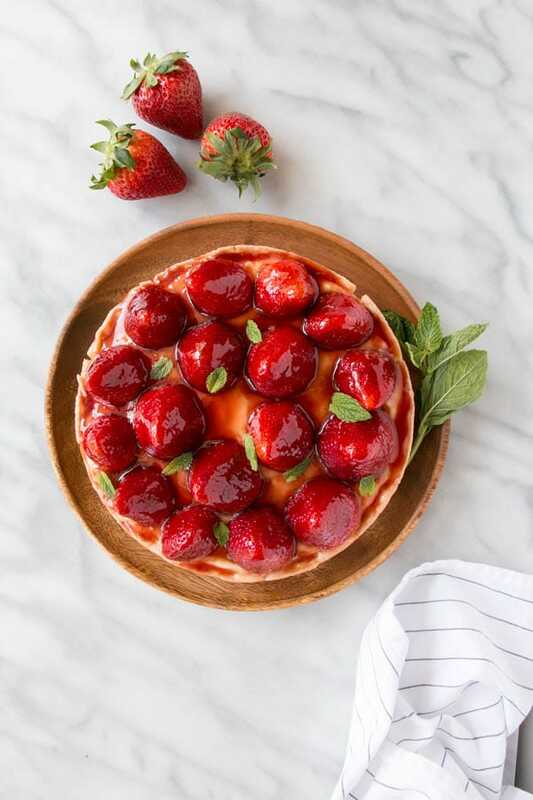 This Strawberry Tart comes from “French Country Cooking” by Mimi Thorisson. It’s a great summer feel good tart that can be put together fairly quickly if you use a store-bought pie shell. I feel as though the title of the dish is a misnomer to a certain extent. 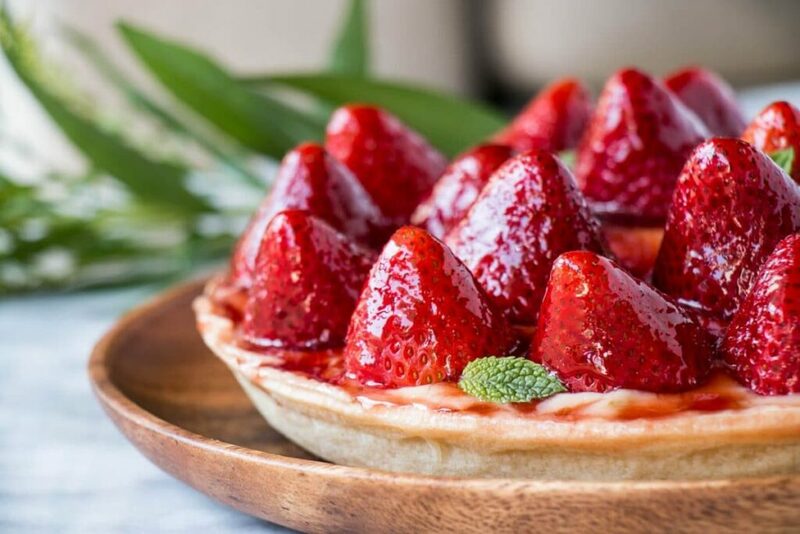 The only strawberry part of the tart, are the strawberries on top. The pastry cream has lime in it, which gives it a very vibrant flavour that is balanced between sweet and tart. 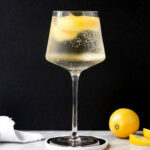 Lemon would also be lovely. The thing about cookbook club is that some sessions there aren’t a ton of attendees. In this case, we had a number of no shows at the last-minute. BUT, that made for a really lovely and intimate dinner. A number of members went over and above and made up to 3 recipes. It was so great to see the members that did show up really get into the cookbook. We got to try all types of recipes from cocktails (Matt’s Negroni) to Almond Ice Cream which knocked everyone’s socks off flavour wise. French Country Cooking did very well, much like our last one “A Modern Way to Cook“. 7 out of 10 was the final group decision with everyone agreeing the dishes turned out better than expected. And that’s the thing. This cookbook can come off as a bit intimidating; the flavours are rich, the photos unbelievable, even the author’s life (5 kids and countless dogs) can all add up to making each recipe seem much more difficult than what it truly is. The club felt that the cookbook is not geared towards a beginner cook. 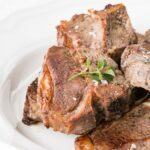 The flavours are opulent and while the recipes are straightforward with a shorter ingredient list, we all agreed we’d take the recipes for inspiration versus following verbatim. From putting tomato caps back on top of crunchy texture (gets soggy) to straining ice cream (to prevent lumps) there were some fine details missing from a few recipes that could have sent this cookbook into the best one we’ve reviewed yet. The Comte, Ham, and Walnut Feuillete took the prize as the favourite dish. Visually stunning and detailed, flavourful without being too heavy, and lovely combination of ingredients that melded together very well. We all thought we’d be likely to make from it again. Cook pie shell as per package instructions and set aside to cool. Meanwhile, whisk together sugar, egg yolks, and whole egg in a large bowl until well combined. Whisk in cornstarch (until all lumps have disappeared). In a medium saucepan, bring the milk to a low simmer over medium heat. Slowly pour the milk into the egg mixture (fine slow stream down the side of the bowl), while whisking constantly. Whisk in vanilla, lime juice, and lime zest. Return mixture to pan and cook over medium heat, while whisking constantly. Cook until mixture has thicken and boils for 3-5 minutes*. Pour the custard into a bowl and cover with plastic wrap, pressing the plastic wrap directly onto the surface to prevent a skin from forming. Let cool and then refrigerate until cold, 3 hours to overnight (I only did 2 hours and placed it directly from stove to fridge as I was pressed for time). Right before assembling tart, place red currant jelly and 1 tbsp of water over medium-low heat. Cook until melted and smooth while stirring occasionally. Remove from heat and set aside to cool slightly. To assemble tart, place lime custard in pie shell and top with strawberries. Using a pastry brush, brush strawberries and tart shell with the red currant glaze. Serve immediately or refrigerate for up to 4 hours. * the recipe read that this section should only take 1 minute, it took significantly longer for me and I've adjusted the time here to mark what my experience was. ** this tart was gorgeous, but a right pain to cut. I'd maybe display the strawberries differently next time to make slicing the tart much easier. This pie looks absolutely amazing! I love the whole strawberries. It almost looks regal! Berry much so ;) I wish the whole berry look was easier to cut however. They made the custard squish out a bit when the tart was cut unfortunately. I love the idea of a cookbook club! 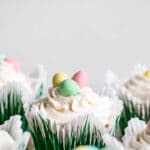 What a great way to connect with friends and try out new recipes. 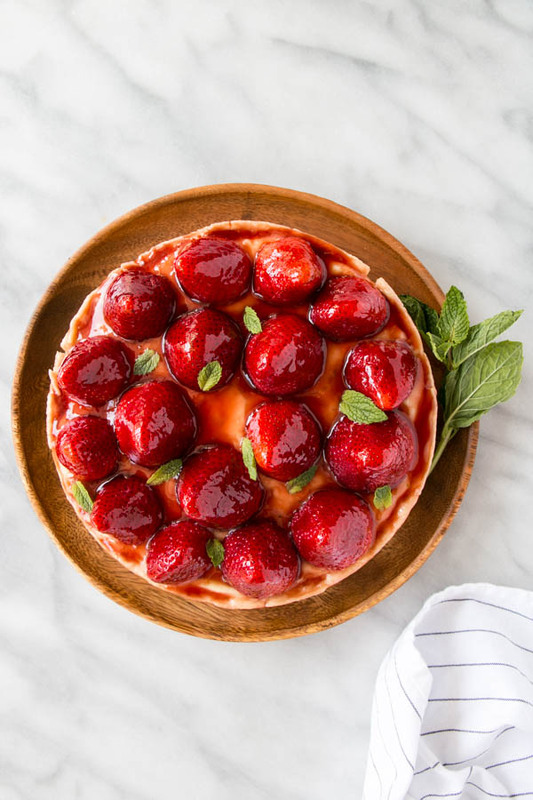 This tart looks beautiful and I bet it was a great finale to your dinner party! This is GORGEOUS! Such a fun addition to your club!